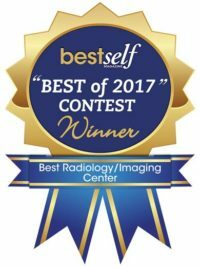 OPI – Outpatient Imaging – You Have a CHOICE for Medical Imaging! Make OPI your destination for imaging needs. Your physician has ordered an exam for you but you never knew you had a choice. Demand for your procedure to be done at OPI. OutPatient Imaging began in 2003 in Peachtree City, GA. A second location opened in 2007 in Newnan, GA and our newest location in Atlanta, GA began operations in 2017. More locations are coming soon to better serve our patients. We are fully credited members of these organizations ACR, ICANL, and FDA Mammography. If a diagnosis can be achieved with a more cost effective and less invasive procedure/test, the exam will be specifically tailored for the patient by our on-site board certified radiologist. Outpatient Imaging provides significant cost savings in comparison to area hospitals and other imaging centers for the same tests. Unlike many other facilities in the area, OPI is independently owned by practice radiologists. Referring doctors have absolutely no financial interest or ownership in our centers and do not profit by referring you to us for care. Remember “You Have A Choice“, choose OPI for your medical imaging needs. Call us today at 404-CALL-OPI to schedule your exam!